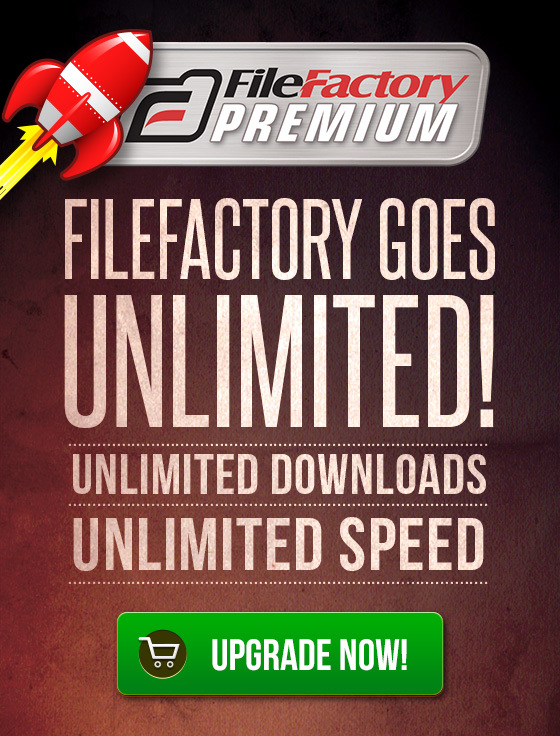 At FileFactory.com we are committed to providing you with the best quality of service. To do this, we have to monitor our servers for the average amount of storage and bandwidth used per subscriber. If your download bandwidth usage is consistently in the top 1% of users over the course of a month, we may slow your download speed or restrict your downloads. We will contact you by email if you are affected by any restrictions. There is no limit on the outgoing bandwidth limit of files stored in your account. In other words, your hosted files can always be downloaded an unlimited number of times. Files which have never been downloaded which were uploaded more than 90 days ago. Files which have never been downloaded which were uploaded more than 60 days ago. Files which have not been downloaded in the past 60 days and were uploaded more than 30 days ago beginning with the oldest last downloaded date. Files which have not been downloaded in the past 30 days and were uploaded more than 30 days ago beginning with the oldest last downloaded date. In cases where the above rules do not effectively reduce storage space beneath 5TB, a data storage fee of $100 per TB (or part thereof) over 5TB per 30 days may apply.